Following a stellar 2017 which saw Italian hard rock group Bad Bones tour worldwide with their last album Demolition Derby (Sliptrick Records 2016), the band released their latest full-length groove machine given the title High Rollers on October 23rd, 2018. 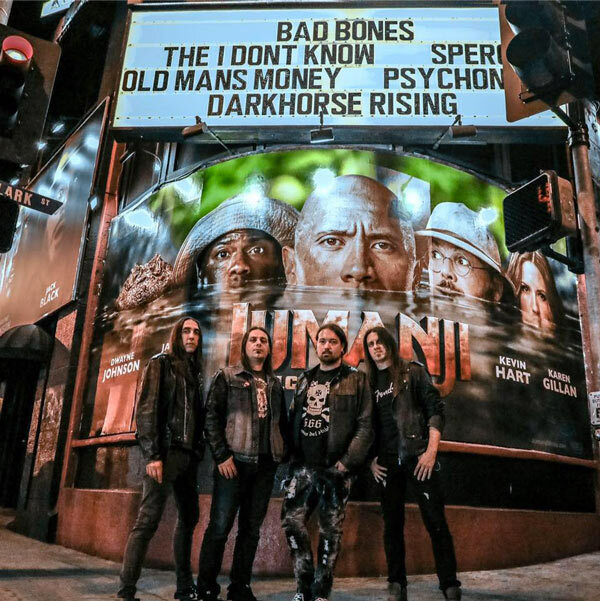 If you can imagine Van Halen, Scorpions, Motorhead and a glimpse of Iron Maiden mixed together, you’ll be getting close to the unique sound of Bad Bones. Sergio Aschieris Guitar riffs and solos touch perfection and the pounding bass of Steve Balocco united with the killer drumming of his brother Lele, produce a wall of sound that takes no prisoners. High Rollers is a true hard rocking classic! Oggi è Mercoledi 24 Aprile 2019 – Sono le ore 02:11.